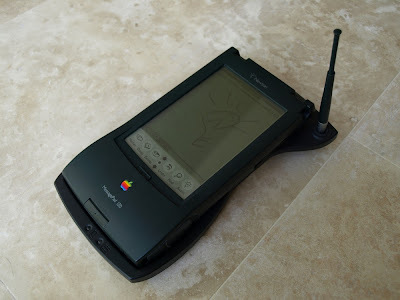 With all this talk of an Apple tablet in the news recently I was overcome with nostalgia (or, as I call it, 'retro-envy', considering I wasn't even five when the original Newton came out). Digging out my Newton MP2100, I determined to pimp it out with storage and some networking ability. I had a key hurdle to overcome before I could manage this: I didn't have a serial cable with which to install packages onto my Newton. After a little scrounging, I found an ancient EigerCom 33kbps PCMCIA modem that had been used in an old PowerBook 1400cs. Assuming this would 'just work' with my phone lines, I hastily plugged it into the Newton and into the wall. Fortunately, the Newton recognized and could use this card off the bat (handy!). The only problem was actually dialing up! Nine out of ten times, the modem would complain that it couldn't find a dial tone. In the end, I switched the modem to the 14.4kbps mode which allowed me to dial in every time. Getting WiFi working isn't too difficult, if you do it right. If you do it wrong, like I did, you'll spend hours scratching your head wondering why it won't work. 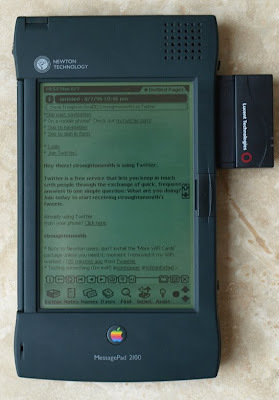 I followed the great howto on the 'My Apple Newton' blog and installed everything I needed. I also installed the 'More WiFi Cards' package, thinking it may be useful in the future. Big mistake! Apparently, if you install the 'More WiFi Cards' package, it stops the standard accepted WiFi cards from working. It took me several hours to realize this, after purchasing a cheap Lucent Orinoco Gold 802.11b card from eBay and trying to configure it with my network. The good news: it works without problems on the latest Airport Extreme base stations (if you have b/g compatibility turned on). Here's a quick shot of my MP2100 on Twitter: I have since ponied up for a working serial cable and used both unixnpi (command line) and NCX to install packages. NCX also allows you install packages over WiFi, which makes things a lot easier and faster. Considering the MP2100 was released in 1997, two years before 802.11b even existed on paper, I think that's quite a feat. :-) While browsing eBay for Newton-related items, I came across this MP120 in perfect condition for a mere £21. I placed a bid a couple days before it closed, fully expecting to be outbid by a large amount. Amazingly, I wasn't, and today my beautiful MP120 arrived. Definitely a steal! I have a few more retro goodies en route to me, ranging from ATA flash storage for the Newton (now possible thanks to the recently-released ATA driver) to an eMate 300, also a steal. Will post more about them when they come! 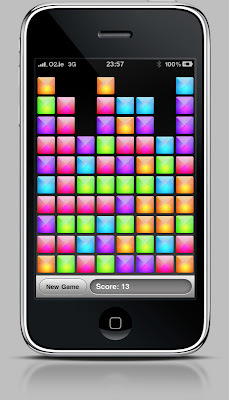 In my quest to re-experience the early days of app development on a new mobile platform, I didn't rewind one year like I was hoping -- I went back two years, back to the days when we could only develop web apps on the iPhone. 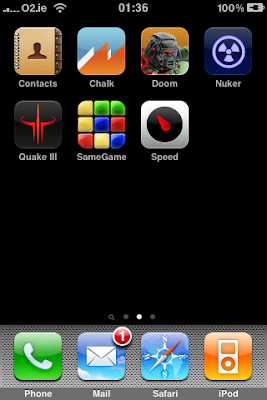 I wrote this piece back then, bitching about the limitations of web apps on the iPhone. 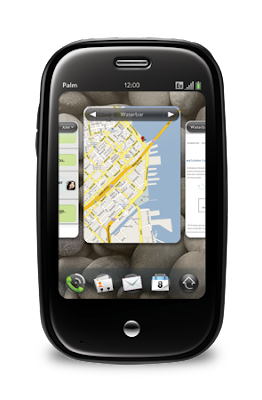 It seems we're right back in the same boat with webOS. I posted these to Twitter, but I'll put them here too for posterity. 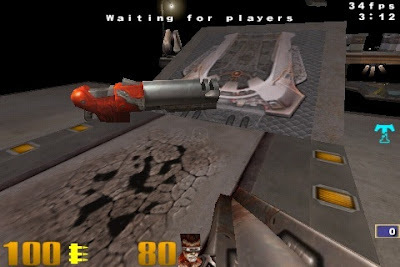 Here are screenshots of my newly compiled version of Quake 3 running on the iPhone 3GS on max graphics settings. I made my own icon for it as I didn't like the original. Do note that the frame rate generally dips by 10fps when I press the screenshot buttons, and it runs really smooth on device! No special hacks used when building; I did turn on auto vectorization and NEON in the compiler settings.